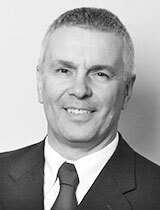 Simon is a Chartered Accountant and joined Paragon as Director of Finance in January 2001 having previously held a number of permanent and interim Finance Director and Managing Director roles. Simon was appointed to the Board in February 2002 when he became a Director and Company Secretary. Simon is a very keen sailor, both competitively and for leisure and when not in the office, will normally be found on the water.